The Sea Shepherd Global protest ship, The MV Bob Barker (official) is finally docked in Wellington after spending nearly 100 days down in our southern oceans protecting whales from Japanese harpoon ships. I had the amazing opportunity to talk to the captain Peter Hammarstedt about why he has committed to protecting whales for over 10 years (that’s the Captain Peter on the right – he’s only 28). 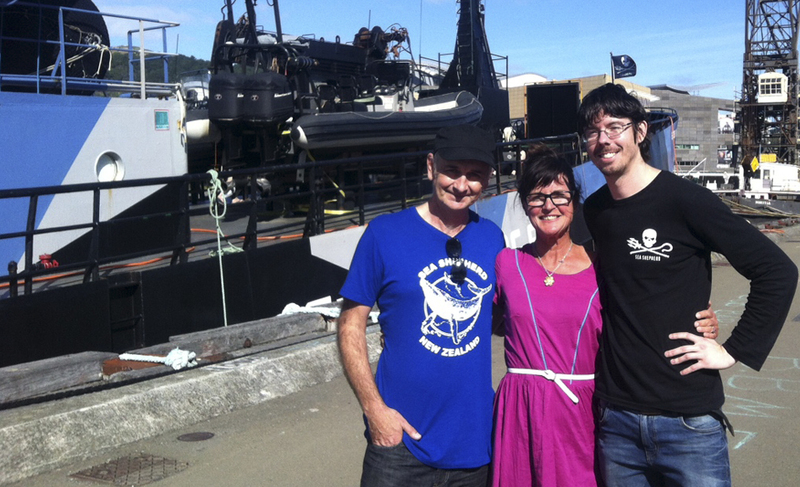 Michael Lawry, on the left, is the Sea Shepherd New Zealand coordinator. He talks about how he became involved and why it is so important for us New Zealander’s to also be. We also hear what the ships youngest crew member Alex, wishes everyone could see in the Antarctic. This entry was posted in Environment, Social & Civic and tagged Activist, Environment, Volunteers by lauriestarfish. Bookmark the permalink.